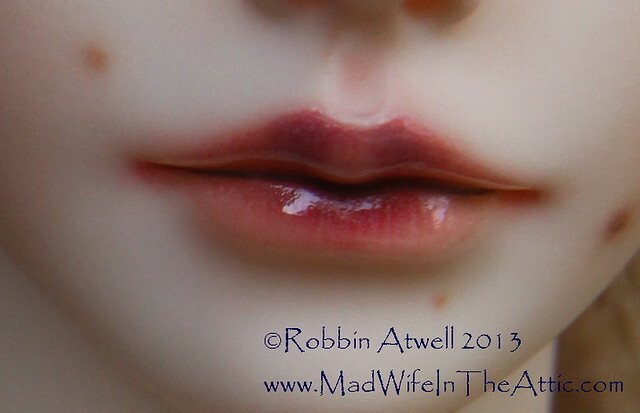 I used this doll as my model in a faceup removal tutorial on May 22, 2013. 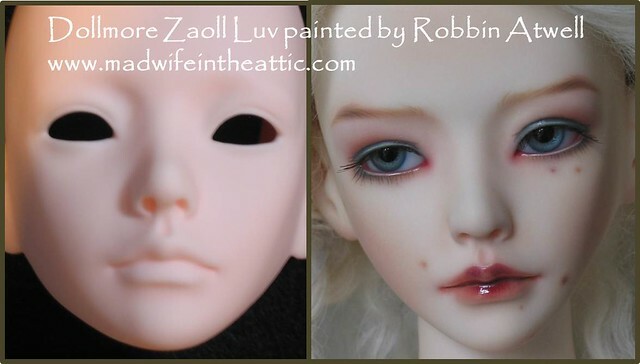 Some Inspiration: When I was almost finished painting Zoall Luv, I realized that she needed something to make her different. The face paint was pretty but too generic — she just wasn’t speaking to me… I had recently read about the Italian fashion designer Elsa Schiaparelli who was self conscious about her looks — especially about the moles on her face. Her astronomer uncle likened her moles to the Big Dipper (Ursa Major) constellation. She embraced that likeness and incorporated the motif into her designs — most prominently as a cherished diamond brooch. I think she looks especially lovely and natural in this photo on the left. On the right, she’s with Salvador Dali and she’s wearing her constellation diamond brooch. I have similar dislike of the moles on my face, so I decided to follow Elsa’s example. 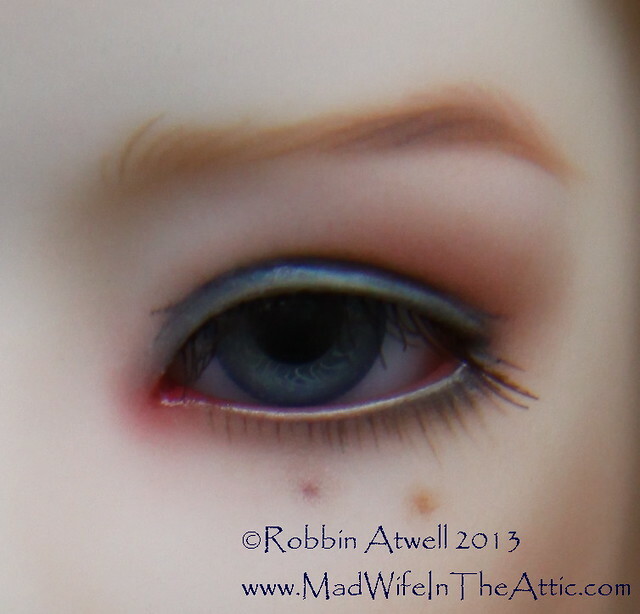 I’ve given this doll a collection of moles matching the ones on my own face. She isn’t as perfect, but now she is unique. 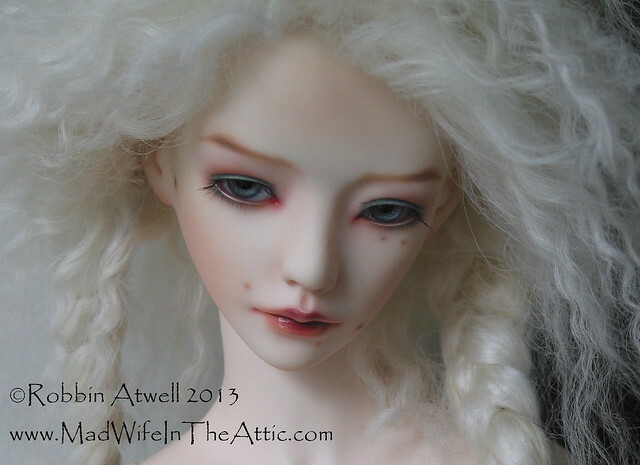 There are several more photos of Zoall Luv and many other projects in my Flickr Archive. Click here to see more. 24 Oct	This entry was published on October 24, 2013 at 2:57 pm. 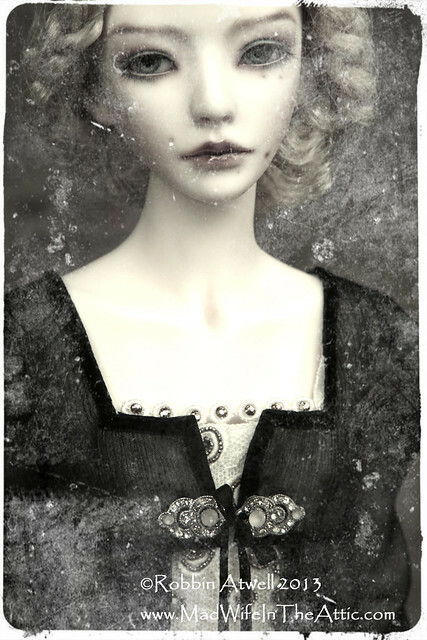 It’s filed under Astronomy, BJD Faceups, Fashion, Uncategorized and tagged ABJD, ball jointed, BJD, Doll, Dollmore, Faceup, Gu mi-jeong, Luv, MyDolling, Resin, Robbin Atwell, Schiaparelli, sd, Zoall. Bookmark the permalink. Follow any comments here with the RSS feed for this post. You continue to amaze me, BFF!!! Love the background story on this one. This is so up my alley. So inspiring about Elsa Schiaparelli and her “constellation” moles. We have a little saying in this house which one of my kids observed, “Every freckle (or mole) has a friend.” Notice that they always seem to come in pairs? They are “freckle friends.” LOL I notice your doll has freckle friends. She IS perfect, and so are YOU!